in size and expensive due to the precision manufacturing required. that was projected on to the ground glass. ultraviolet spectrums which are not visible to the naked eye. 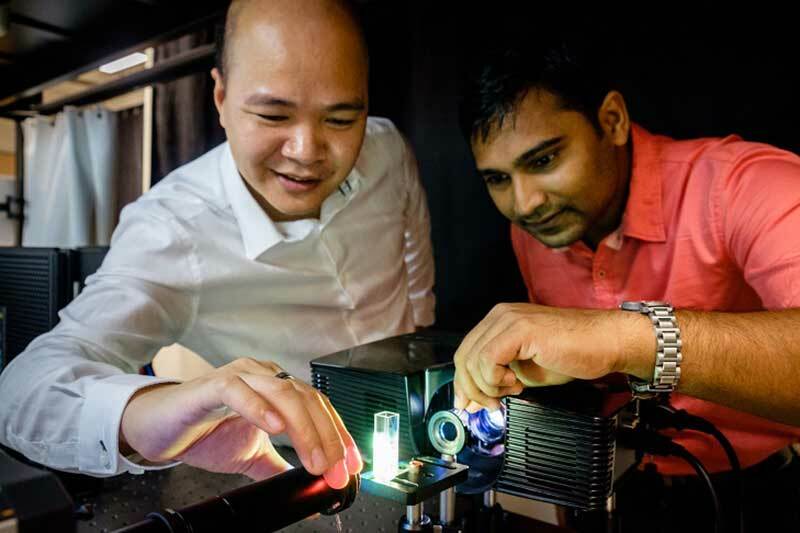 by Assistant Professor Steve Cuong Dang from the NTU School of Electrical and Electronic Engineeringand it took himand his researchers, Dr Sujit Kumar Sahoo, and Dr Tang Dongliang, over a year of research and development. compact cameras and smart phones slimmer. multispectral cameras on the market. images taken at the microscopic scale. that are associated with chemicals or bacterial activity leading to spoilage. reveal clues or evidence invisible under normal circumstances. innovation and enterprise arm, NTUitive. of their technology for real-world applications. journal, Optica, in Oct 2017.